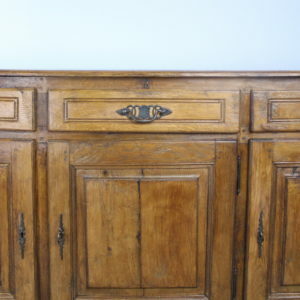 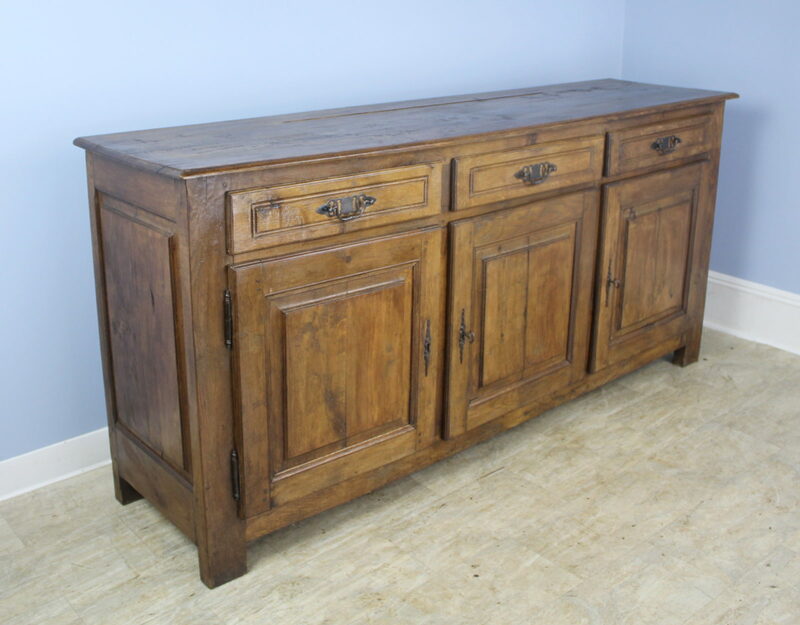 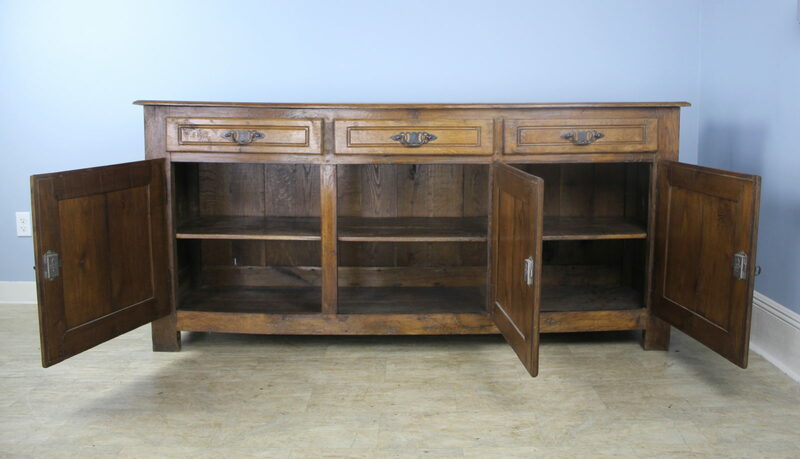 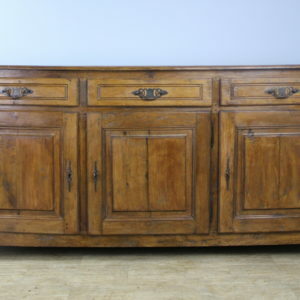 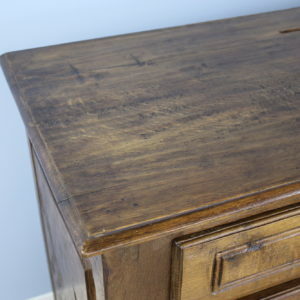 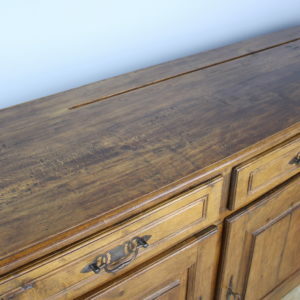 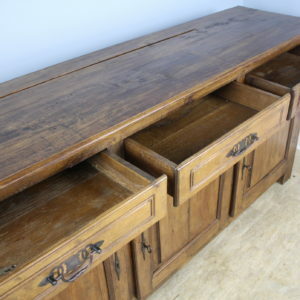 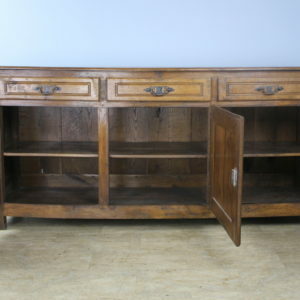 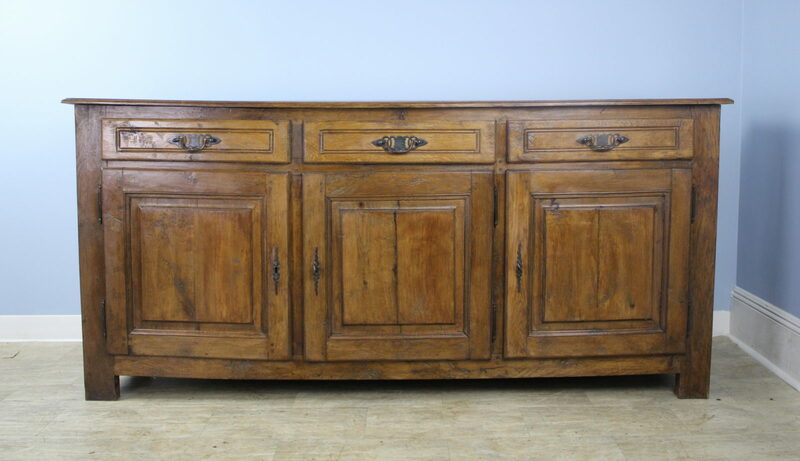 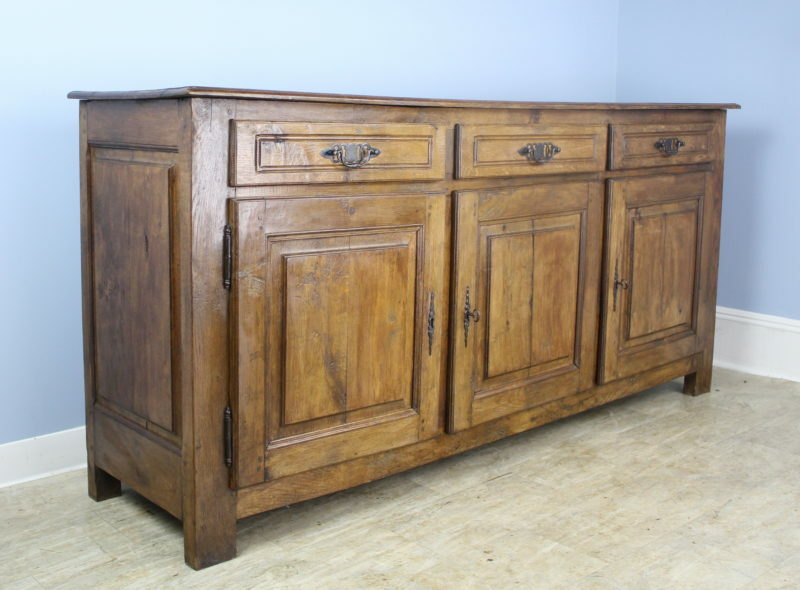 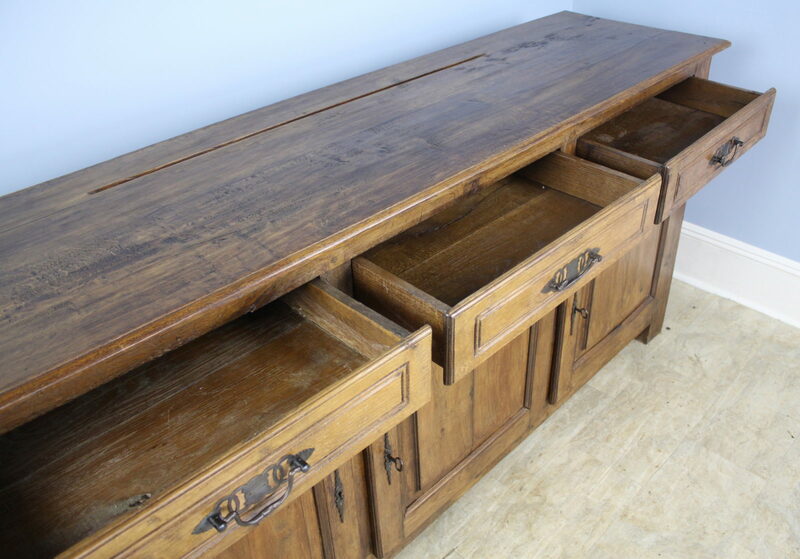 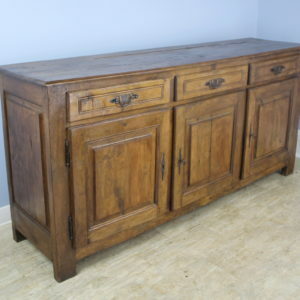 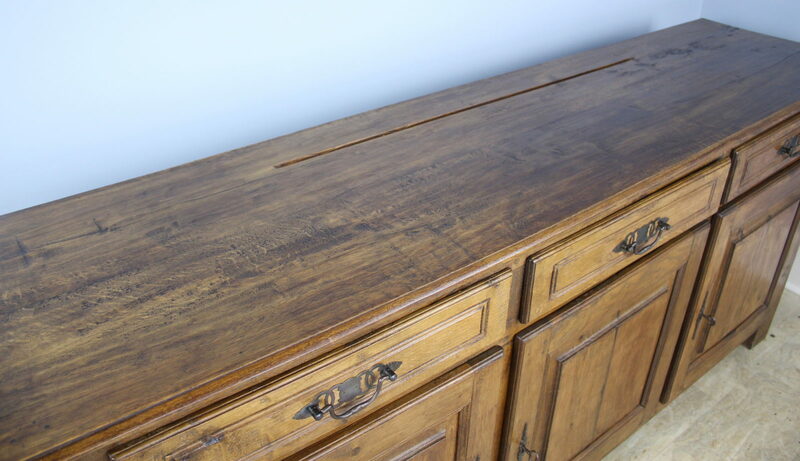 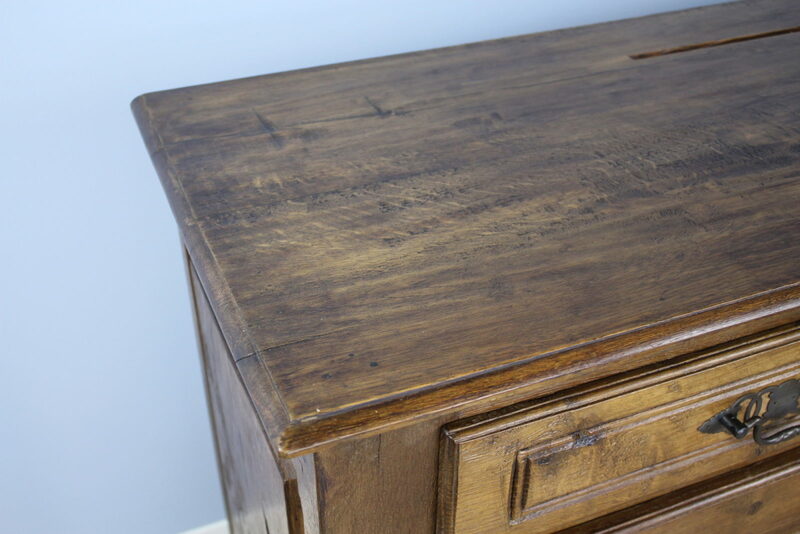 A handsome enfilade or three door French oak buffet with wonderful oak grain, color and patina. 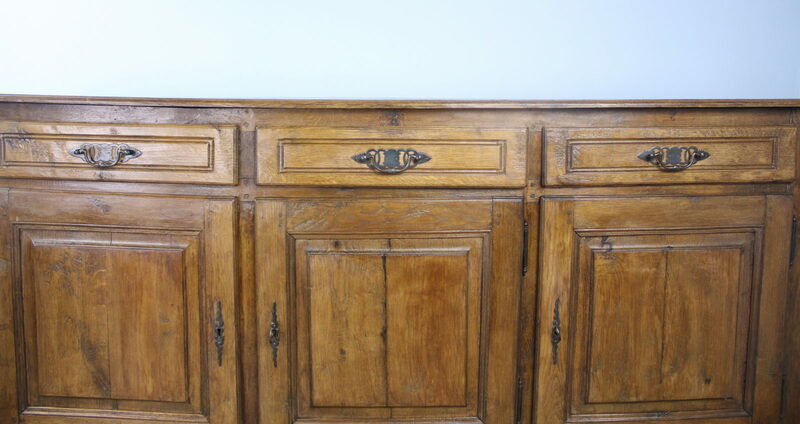 The carved panels on the doors and sides give this simple sturdy piece a note of good design interest. 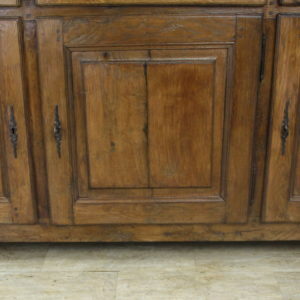 There is not separation between the two left doors, so that the piece has voluminous and flexible storage possibilities.